As a student of the history of science, I had wanted to more directly experience what it was like for Galileo to first turn a telescope up to the skies. I decided the best way to do that was to recreate, as closely as possible, his telescope. (Except out of aluminum, because those are the tools I have.) I am not the first to do this, of course, and I am grateful to those who have made measurements available. 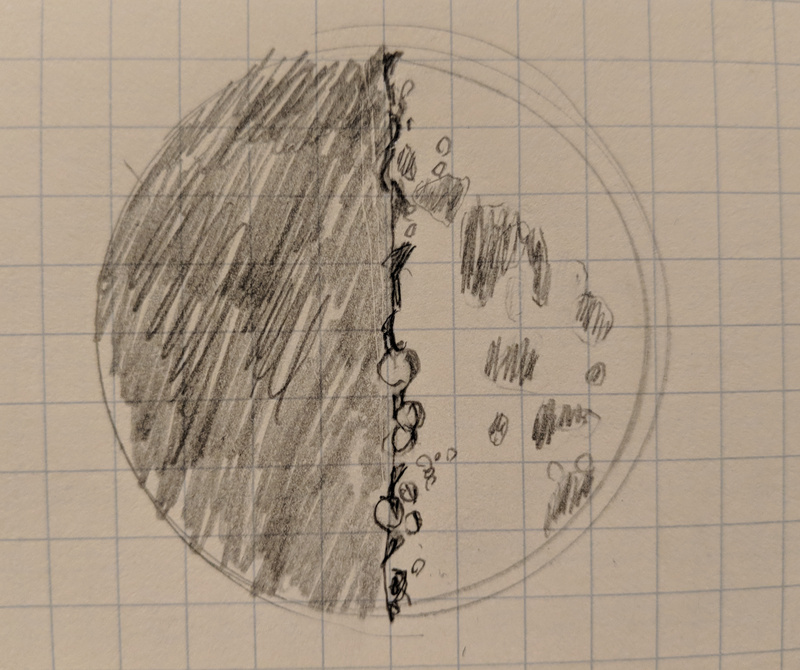 My goals were to recreate all of Galileo's major discoveries: the moon has mountains, Jupiter has satellites, Saturn is weirdly lumpy (Galileo just called them ears, the ring shape wasn't discerned until later), and Venus has phases. All of these have been achieved, though the observation of Venus was tricky. 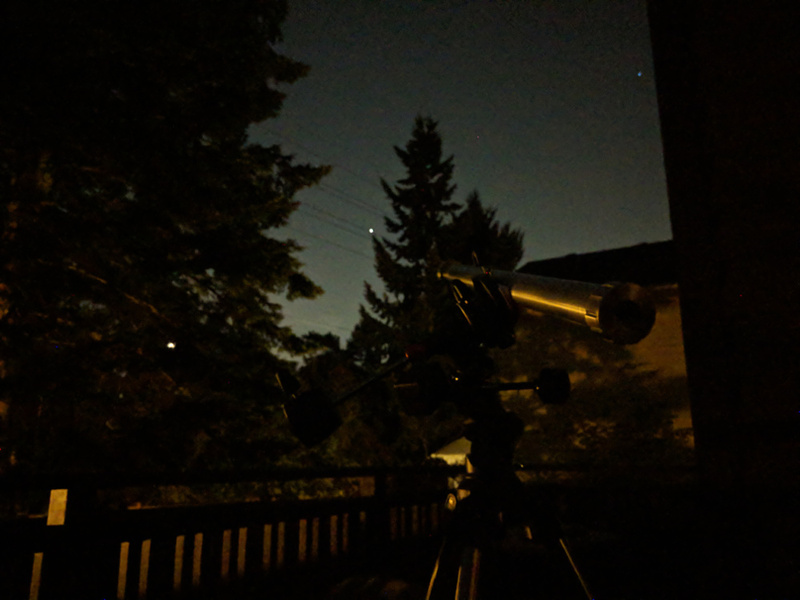 The major moons of Jupiter as surprisingly clear, even through the light pollution of Seattle. The weather of Seattle proved far more of an issue. My main conclusion of this project is that if Galileo had lived in the Pacific Northwest, the Scientific Revolution might never have happened. The drawings for the parts I made: Telescope tube, Objective lens holder, Eyepiece. The eyepiece holder is longer than Galileo's, to allow the telescope to be focused indoors as a demonstration. The grooves are there for 1-3/16" ID, 1-7/16" OD o-rings, to provide a nice snug fit for adjusting the eyepiece. Only one ended up being needed. The eyepiece lens is a Ø25 F=-50.0 N-BK7 plano-concave, and the objective lens is a Ø50.8 F=1000.0 N-BK7 plano-convex, which I got from Thorlabs. Those weren't a perfect match to those in Galileo's, but close enough. Eventually I'll have to grind my own, of course.